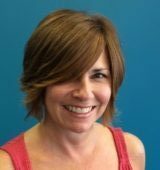 Jenny began her career in the early 90’s in Indianapolis, Indiana and, after building a large clientele, she decided she needed a challenge and started over in Boston, Massachusetts. 20 years later she remains passionate about hair and loves creating looks that are new & fashionable but also timeless & classic. 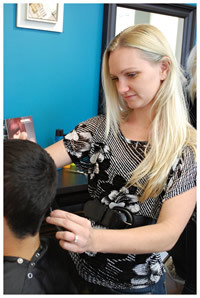 Jenny has had extensive training in Goldwell hair color, Deva certified, Blow Pro certified, and Joico. With a passion for color, Jenny prides herself on blondes and is confident that when they leave the salon, her clients feel great and are at ease in knowing they can maintain and recreate their new look themselves. Jenny was featured in the March issue of Allure magazine for creating natural long lasting highlights. (“Rising Stars”). Many of Jenny’s clients have revealed that even after 8 weeks their highlights and hair cuts still look great, and they continually receive compliments. 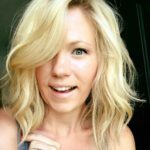 Jenny’s goal is to help her clients create a great look through color and perfect, balanced cuts that last up to 12 weeks. Jenny shares that “We have grown so much and have learned even more over the last 20 years. “I still have the same passion for coloring and cutting as I did the first day I started”. 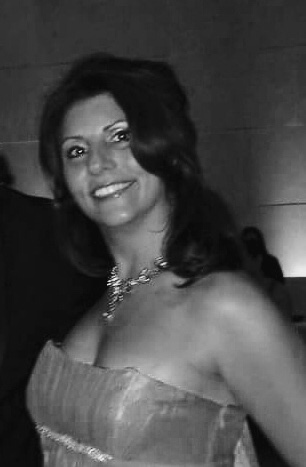 Angela is an established stylist from Southern California who moved to Boston in 1995 to continue building her career. After spending 14 successful years on Boston’s famed Newbury Street, where she received Best of Boston for men’s haircuts, she is excited to be working in the South End. Angela’s training and education includes advanced cutting and color skills with Redken and Tony & Guy. She has also attended numerous seminars in the US and abroad to continually sharpen and broaden her skills and to stay in touch with the latest styles and cutting & color techniques. Her energy, her style and her talent make her one of Boston’s hidden gems and Pure Hair Design is proud to have her. Apryl has been doing hair for over 20 years and has studied cutting & styling in Paris and London, and color techniques at the Goldwell Institute. She has also attended annual training in Baltimore at the Goldwell Color & Cutting Academy. Apryl’s training in the Deva Curl cutting method provides her with the special expertise needed to deliver exceptional care for curly hair. She is also skilled in styling for any special occasion: weddings, fashion shows, social events, or photo shoots. Apryl firmly believes that the best hair is the kind that you can wash and wear and style easily with plenty of movement. She loves creating natural looking color by using fine weaving and slicing in combination; sometimes using up to four colors! 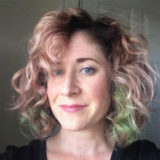 Kristin specializes in cutting and Goldwell coloring and, with more than five years of professional experience, she enjoys working with clients to create an individual, everyday look for a particular lifestyle, or a unique, personalized style for any special occasion. Certified in the Deva Curl cutting method and product line she helps clients learn to love their curls and gain the confidence they need to maintain them on their own. To stay connected with the latest styles, new techniques or up-and-coming trends, Kristin is always looking for an opportunity to continue her education. Katy is a dedicated stylist and colorist who loves creating personalized, wearable looks for her clients. She is passionate about color, and shares this excitement both in the salon and on the road as an Advisor for Joico. Committed to on-going education, Katy is always learning new techniques to compliment her 10+ years of experience, keeping her clients happy, beautiful and on-trend. A portfolio of her work (and her two cats) can be found on her Instagram page @hairbykatybrown. Boston’s own Frank Mulone is an accomplished hairstylist that has been working in the South End for over 8 years. Frank is certified as a Deva stylist and a Joico color professional. 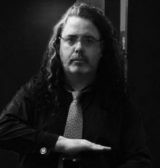 Along with being a hairstylist, Frank is a trained visual artist and sculptor with a creative edge. He welcomes new challenges and can’t wait to see you in his chair to start a new project, however big or small! 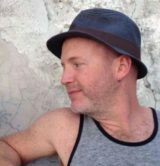 Since 2001, Derek has been a hair designer working in cool salons on Newbury Street and in the South End. With an artistic sensibility, his work in hair color has motivated him to dive deeper into the latest techniques and science. He earned a certification in balayage and modern ombre from Eva Scrivo in NYC. Whether you want to cover gray, have some fun while still looking professional, or go completely wild, he will help you achieve the look you want. Blessed with spiral curls, he is the obvious go-to-guy for all your curly-hair needs. Although well versed in the “Deva” technique, he now no longer offers that service. Instead, he offers the “Derek” technique. Cutting hair wet and still utilizing the “Deva” products, you will enjoy your hair adventure. But fear not straight-haired folks, his wife (and first hair model) has “pathologically” straight hair – so you’re in good hands! His overarching sensibility is to work with and care for your natural hair texture rather than fighting against it. Jason moved to Boston in 1996 to find a career path. By 1998 he finished hair school and started working in the South End and hasn’t looked back. Jason enjoys making people feel good about their hair through cutting and coloring, but don’t ask him for an up-do or perm, he doesn’t do them. Pure is the 3rd salon in his 13 plus years as a stylist and he looks forward to many more in this ever growing neighborhood. to Scottsdale, Arizona until her return to Boston in 2011. Bumble in the art of razor cutting and private classes in hair coloring (apprentice style) from Gianluc who hails from Italy and has worked all over Europe . Lily has also received many private sessions with John Sahaag, a stylist from New York, who has had a major influence of Lily’s styling views. Allure Magazine as one of Boston’s top colorists in the industry in 2000. Complex certified and is in the process of achieving her certification of balayage techniques from L’Oréal. Lily’s major focus is on hair color but does take pride in completing the whole design, with her focus on service and a level of professionalism that will speak for itself. She participated in many “Hair Cares” events throughout the city of Boston.